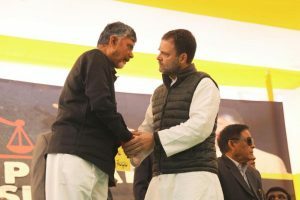 Congress president Rahul Gandhi on Monday joined Andhra Pradesh Chief Minister N Chandrababu Naidu, who is on a fast at New Delhi’s Andhra Bhawan demanding special category status for Andhra Pradesh. 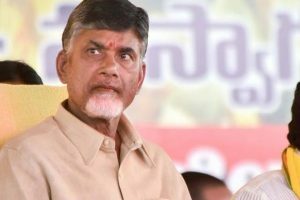 Andhra Pradesh Chief Minister N Chandrababu Naidu on Saturday said that Telugu Desam Party (TDP) leaders will hold a protest against Prime Minister Narendra Modi when the latter arrives for a rally in Guntur on Sunday. 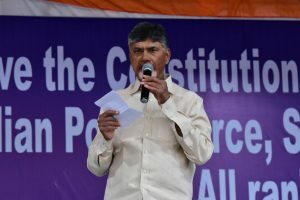 Continue reading "TDP chief Chandrababu Naidu meets political leaders in Delhi"